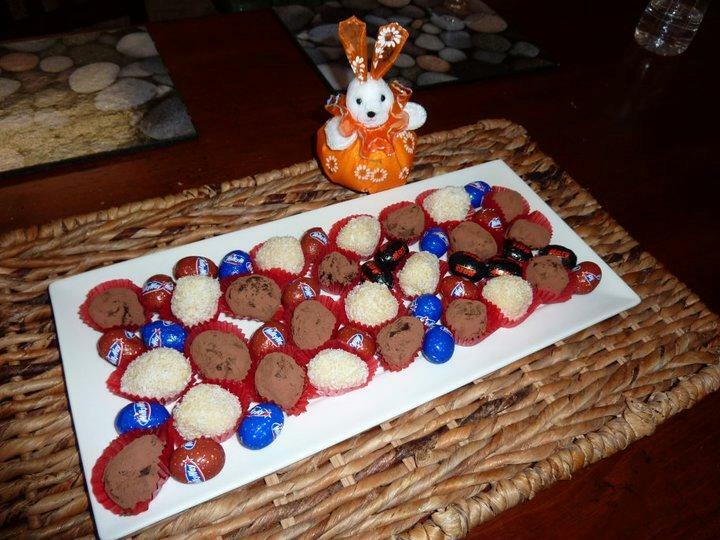 I heart chocolate and love to embrace the opportunity at Easter time to try out a few recipes with a distinctly chocolate flavour. This year because of some brilliant aligning of the stars, people in Oz scored a 5-day long weekend as Easter and Anzac Day lined up. Talk about fabulous! So over those days GG and I were going to catch up with my family and also his so we decided it might be nice to make some chocolate truffles to take along as an Easter treat. 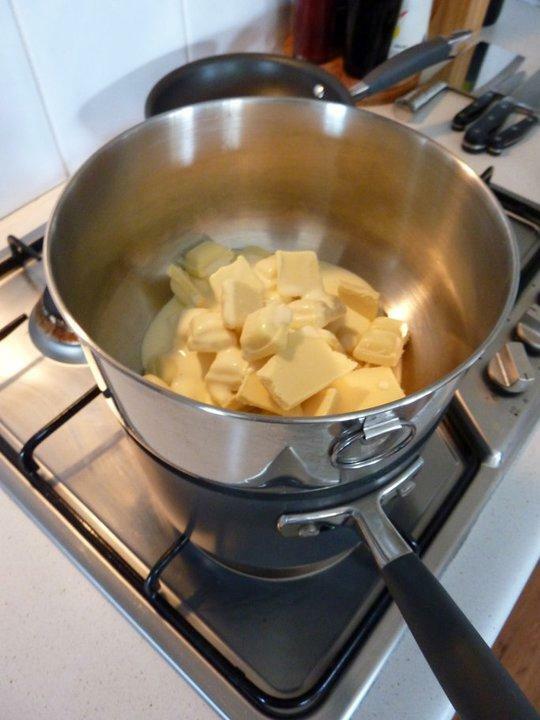 Place the chopped chocolate and cream in a heatproof bowl over a saucepan half-filled with simmering water (make sure the bowl doesn’t touch the water). 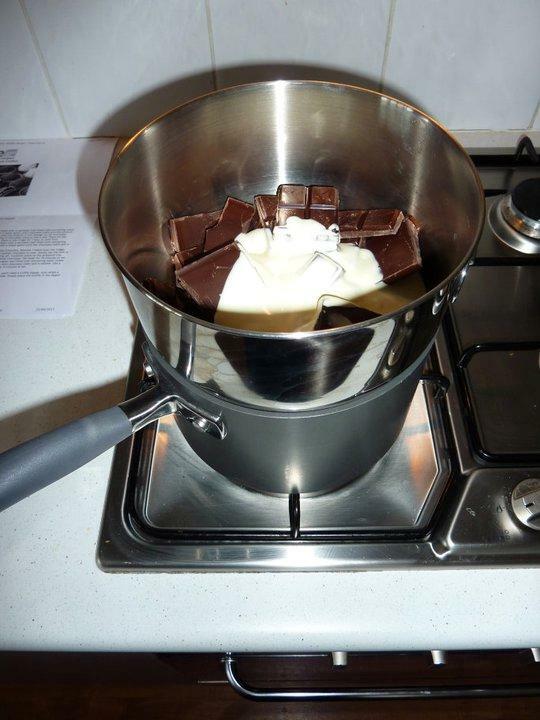 Stir with a metal spoon until chocolate melts and the mixture is smooth. Stir in rum. Place in the fridge for 4 hours or until the mixture is firm enough to roll into balls. Line a tray with non-stick baking paper. Roll 2 teaspoonfuls of chocolate mixture into a ball. Place on the prepared tray. 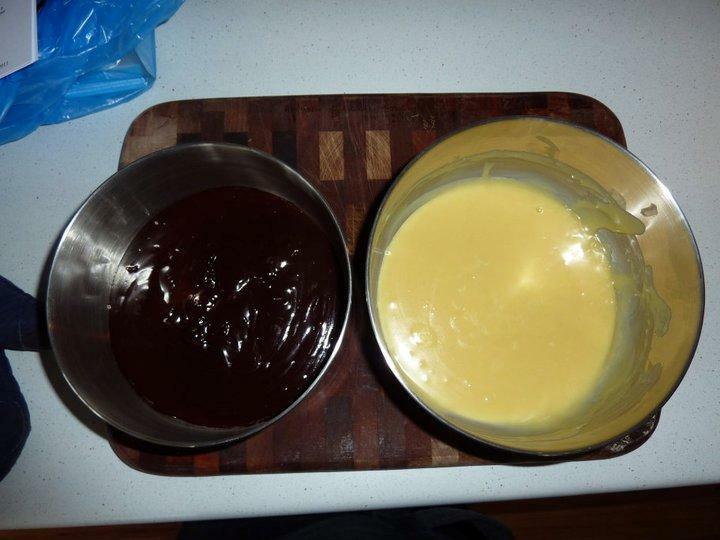 Repeat with remaining chocolate mixture. Place in the fridge for 1 hour or until firm. 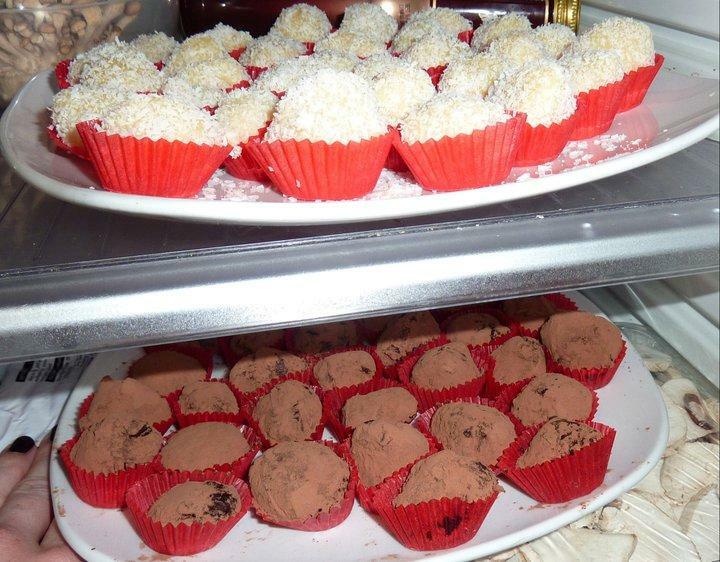 Fill a bowl with some cocoa powder and dust dark chocolate balls lightly. Fill another bowl with coconut for the white chocolate and coat these.